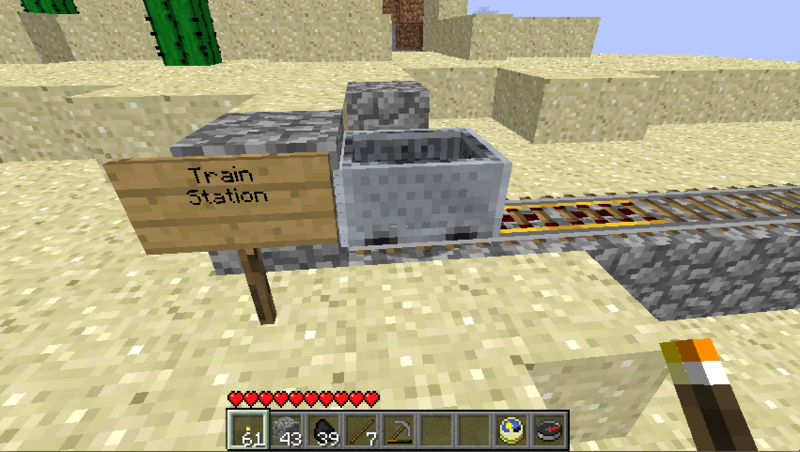 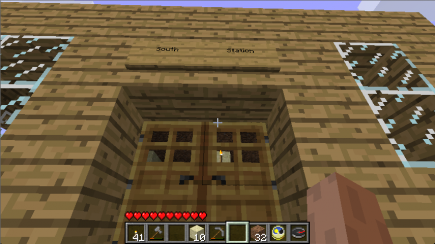 Last time, I’d laid down track to my other house; now it’s time to build a train station! After some pacing around, I wasn’t sure what I wanted to do with the station. 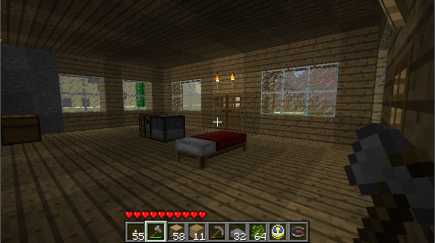 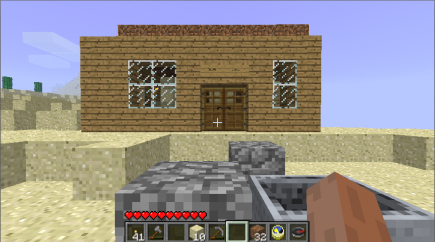 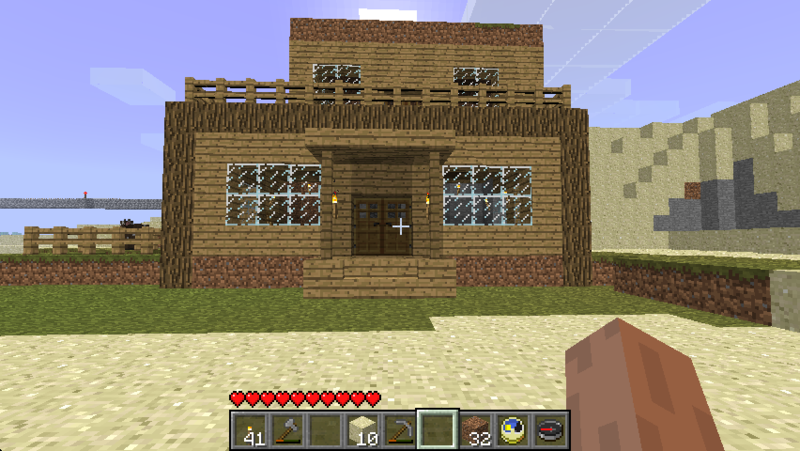 But I’d always planned for it to connect with an eventual second floor of the house (which didn’t even have a ceiling yet for its first floor! 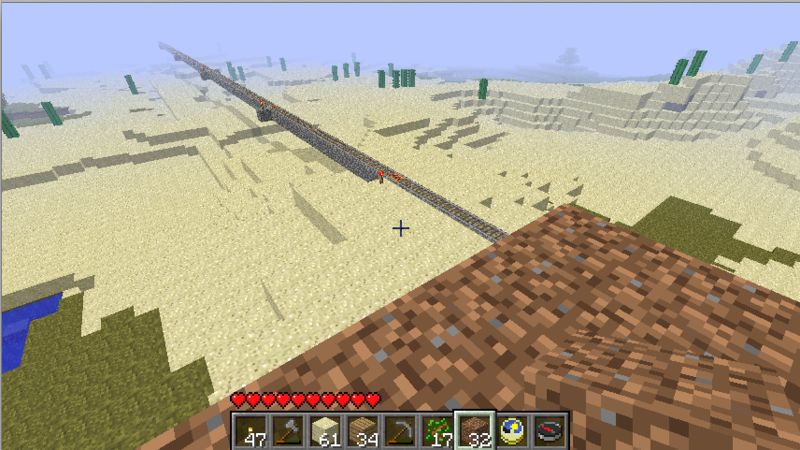 ), so I decided to start there. 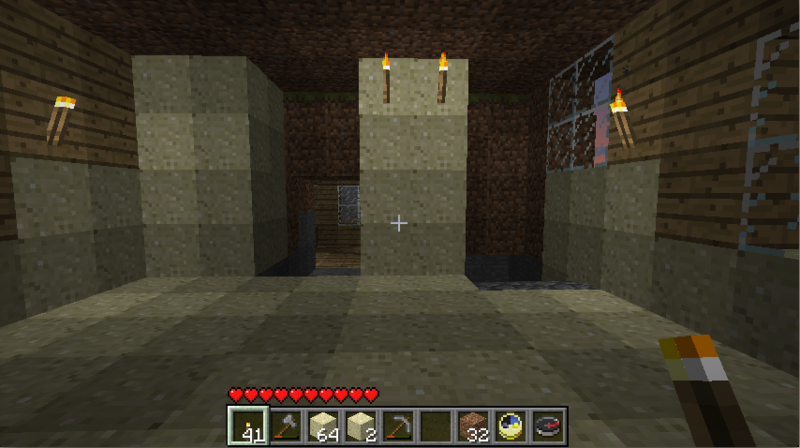 I’d already built stairs running up the back of the first floor through the hill near the train station; I dug another corridor next to them, and started putting blocks in place to form the second story. Eventually, I decided that the second story would be smaller than the first story, with a balcony around most of it, to ease the transition with (most of) the surrounding area. 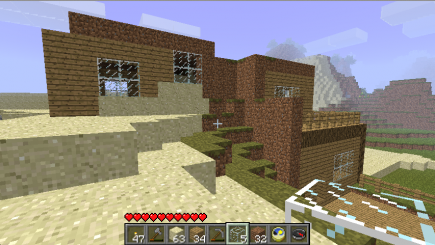 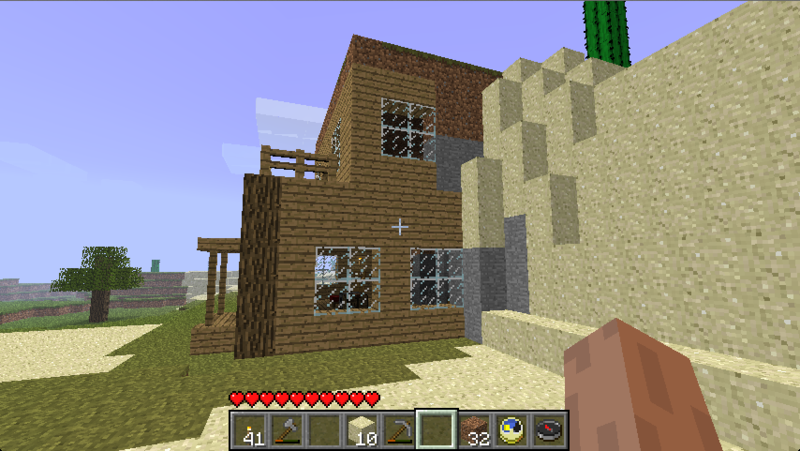 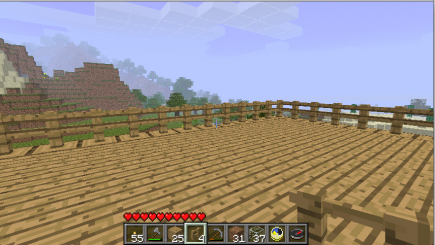 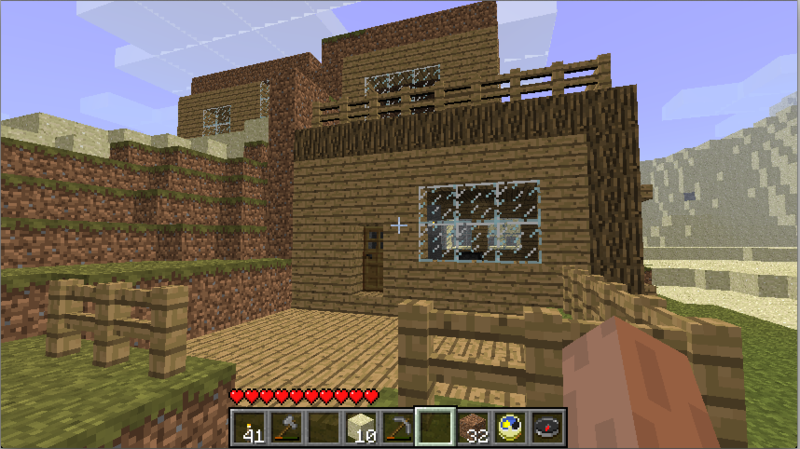 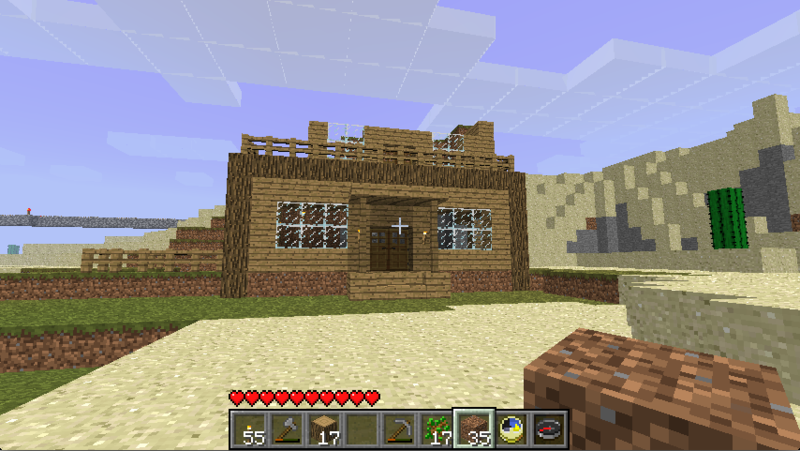 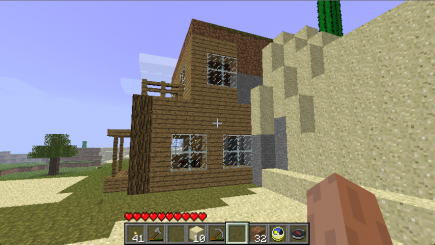 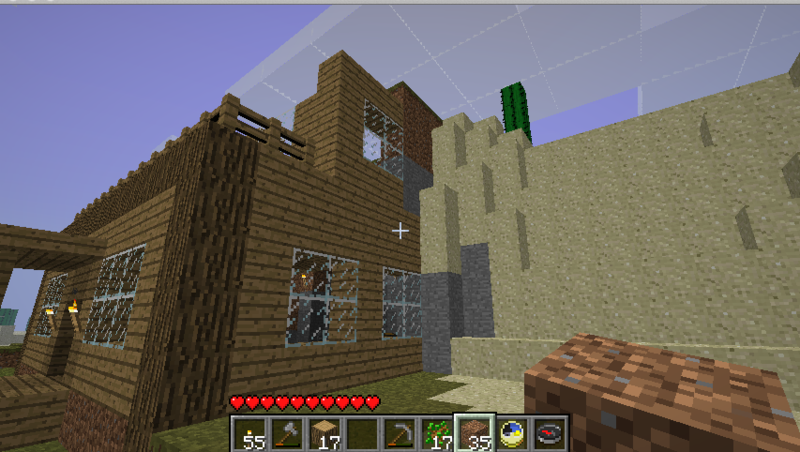 I decided to put a flat dirt/grass roof on top of the second story, partly to blend with the hill and partly because I couldn’t think of anything fancier that I liked. 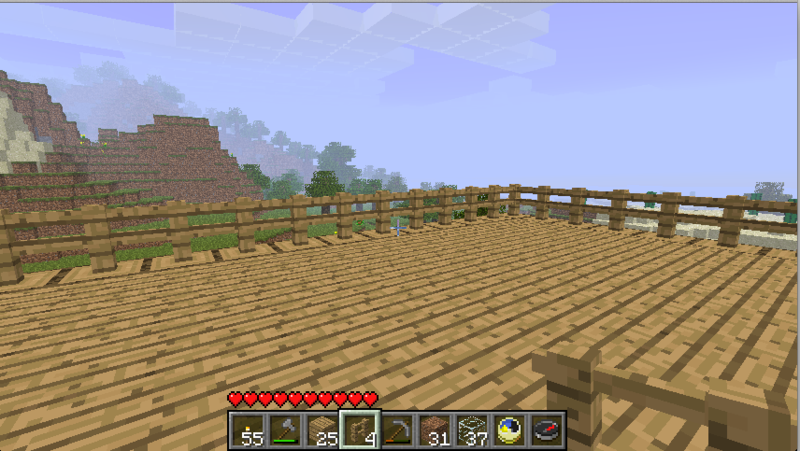 By this point, I’d already put the train station proper in place; in fact, the above two pictures were both taken from the train station roof instead of the house roof. 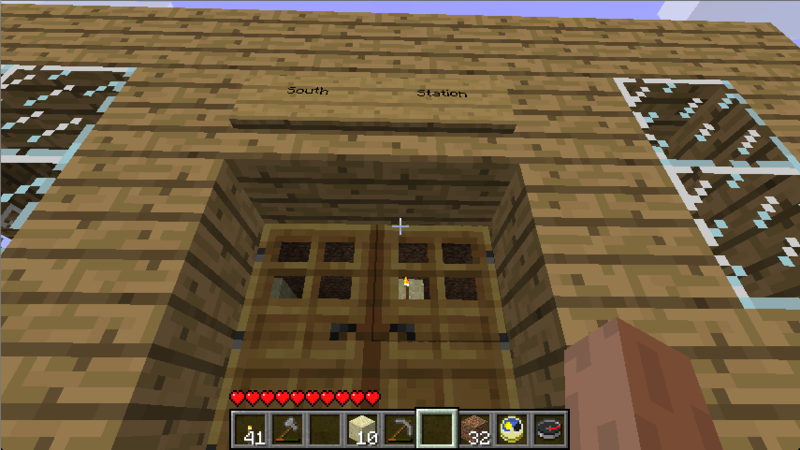 The train station ended up quite small (and was set back from the tracks instead of enclosing it): large enough to provide a space to enclose the stairs to the first floor and the corridor to the second floor without feeling cramped, but not much larger than that. 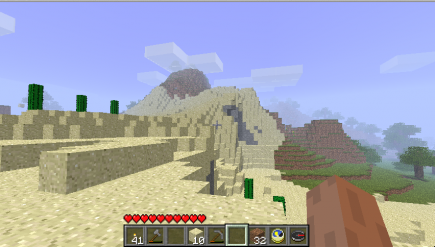 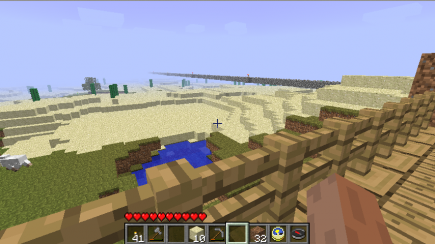 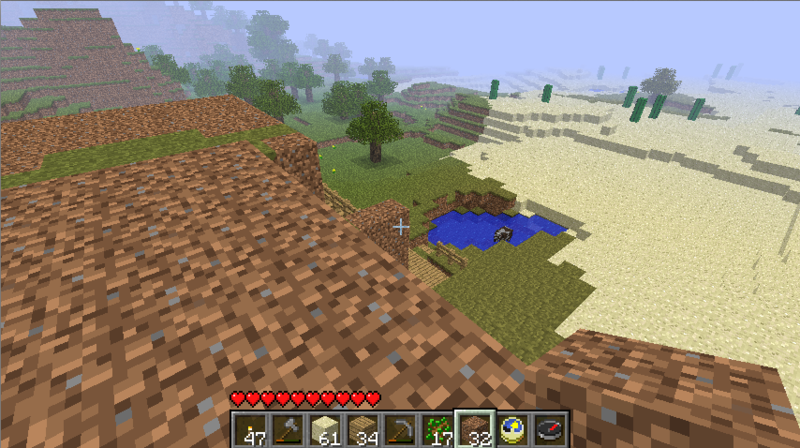 For better or for worse, I left the sand in place; I’ll have to change that if I end up digging beneath it, obviously. 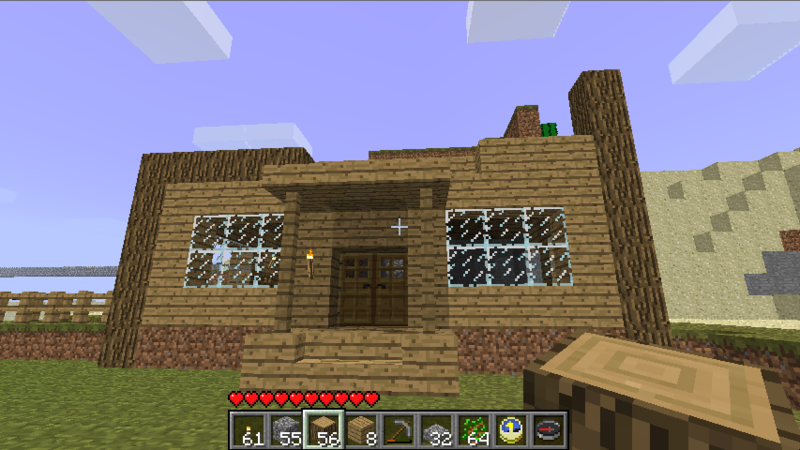 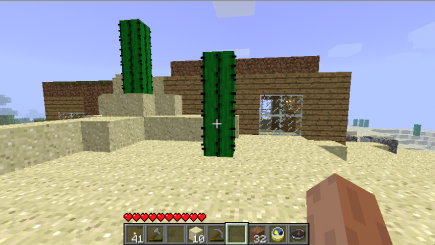 Sad to hear you are discontinuing your Minecraft series but I must say, it isn’t surprising, either. 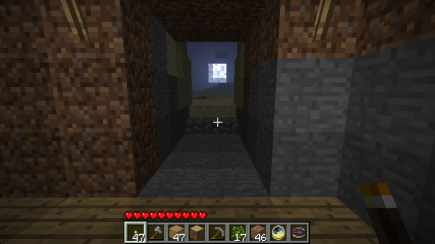 Like me you have been playing this game for months so it’s good to see you making an effort to turn your attention elsewhere, even if only momentarily.